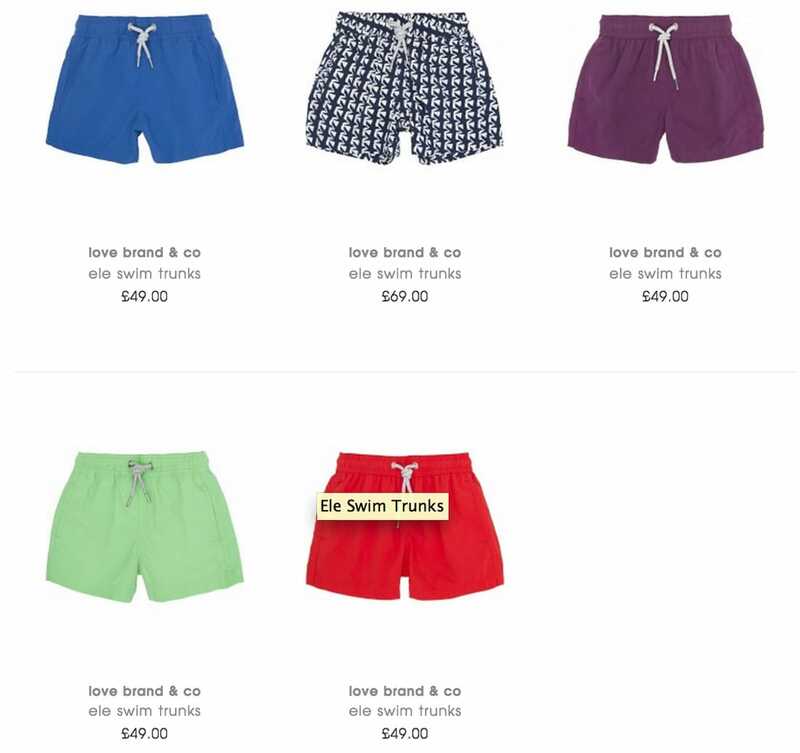 Whether you strongly believe it or not that love is all you need, as suggested by the legendary song, when going on a vacation or simply having fun by the pool, all that your adorable boys need to enjoy themselves are swimming shorts designed by Love Brand & Co. Regardless of the age of the boys you love so much – for Love Brand & Co offers beachwear for children and adults as well. Certainly, love is the best you can give them, and the best gift you can receive in return, so the name of the brand makes sense. However, there is much more sense to it if you consider the fact that the mission of this luxury British label is to help the endangered elephants, with 5% of the profit donated to ensure that these animals have a chance to survive in the wild. That’s even more love and care you give when you buy Love Brand & Co products. Your kids will look great on the beach, and feel great as well, in those swimming shorts made from fast drying fabric. They are brightly colored, comfortable, have a relaxed fit, come in a variety of designs and prints to choose from.